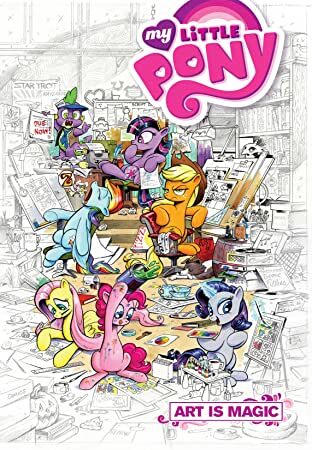 Celebrate the charming and diverse artwork of IDW's My Little Pony comic book series is this special art book! 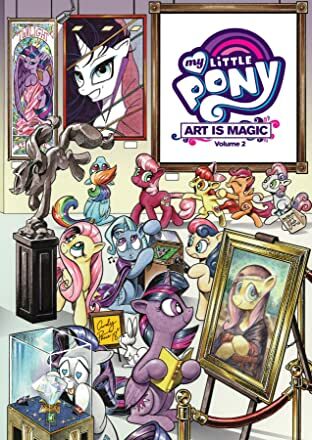 Read along as fan-favorite artists Jay Fosgitt, Sara Richard, Tony Fleecs, Andy Price, Brenda Hickey, and Agnes Garbowska showcase a selection of their most cherished pieces, provide insight into their process, and share the identities of their favorite ponies! 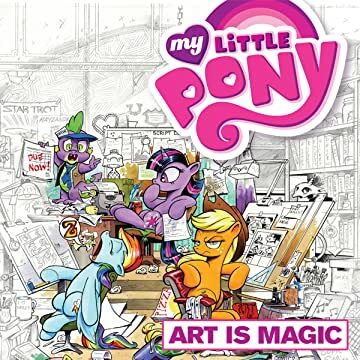 Fans of My Little Pony or the comic arts alike are sure to awe at this bright and inspired collection.